So yet another MU-MIMO is released! The Amped Wireless RTA2600 Athena has jumped on the bandwagon of the latest technical craze to hit the wireless router streets. Priced within the same range as its competitors, the RTA2600 shares most of the common features that its rivals have. MU-MIMO – Multiple Devices Simultaneously! This is the secret weapon of the RTA2600. MU-MIMO sends and receives data to compatible devices at the same time. This improves efficiency across the Wi-Fi network. A total of 4 streams can traverse concurrently. 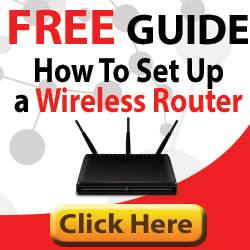 Standard MIMO routers can only send to one device at a time. This means that if you have a large number of Wi-Fi clients in your network there can be queuing. And queuing is BAD! The Amped Wireless RTA2600 Athena has data rates up to 2.53Gbps across its two bands. That’s 1733Mbps (1.73Gbps) and a further 800Mbps on the 2.4GHz band. With these kinds of speeds on tap, HD & 4K streaming is possible over the air and your online gaming experience greatly improves. Note that these speeds are data rates, and therefore theoretical. Real speeds are around 40% of what is advertised by the manufacturer. Having all these features are absolutely useless without having some grunt under the hood to power it all along. With a 1.4GHz dual core CPU, the RTA2600 isn’t going to have any issues slowing down. This is good for your network efficiency as it helps ensure everything ticks over as it should, and there’s less chance of your router overheating. Coverage is improved in several areas. Beamforming – Intensified coverage in the direction of your Wi-Fi clients means they can stray further away from the router. It also improves reliability at those distances because the beamwidth is angled in the clients direction, rather than pushing out omni-directionally (in all directions at all times). and amplifiers mean wireless coverage/beamwidth is pushed out in more directions. Control how much bandwidth each device has access to, based on application and software. It’s very important to protect ‘fragile’ traffic types, particularly when accessing the Internet. For example, gaming and streaming traffic can suffer badly (gaming lag/buffering) if other devices or traffic types swallow up all the available bandwidth. By implementing prioritization, the fragile traffic is protected. This means a better network all-round. There’s also a USB 2.0 port. This can also be used for a USB drive. But it may be better utilized for a USB printer that can accessed anywhere from your home/office. This may perhaps be more convenient than plugging directly into your PC/laptop each time. It’s also possible to access any files stored on USB from the Internet, using FTP. Do you have kids, and want to make sure they’re not online when they should be in bed? The RTA2600 has controls that can stop access to certain websites/types and on a time basis if required. Have an extra 8 additional SSID’s (wireless networks) alongside your main one. This is a great way for creating guest networks, which helps to keep your personal network safer and more secure. Guests will not be able to access your network from a guest network…only the Internet. The RTA2600 Athena comes with a Setup Wizard, which gets you up and running in just a few minutes.